WHERE HAS THE SYSTEM BEEN FEATURED? 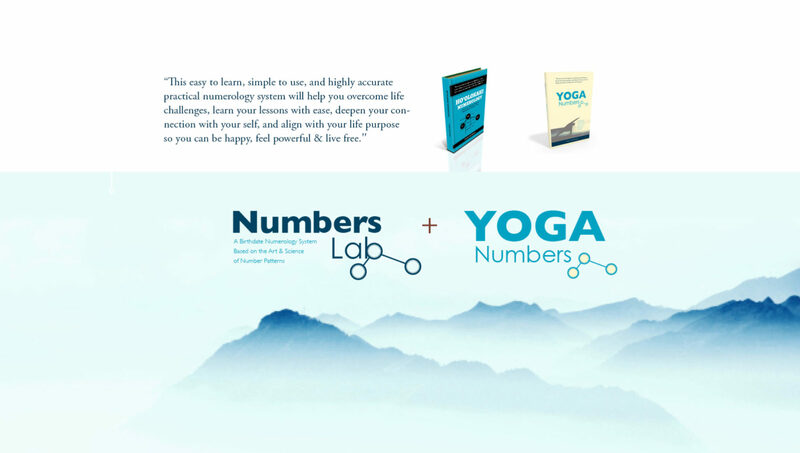 The Numbers Lab and Yoga Numbers Birthdate Numerology System has been featured around the globe at yoga studios, special events, and conferences including the 2017 & 2018 Asia Yoga Conference in Hong Kong and at Yoga Generation Studios in Tokyo and Osaka Japan. What type of numerology do you practice and how did you discover it? I practice a highly accurate form of Birthdate numerology that traces back to tantric yoga traditions. I am hoping to someday trace it back to Pythagoras. I call it Ho’olokahi Numerology, which in Hawaiian means to make whole or peace. 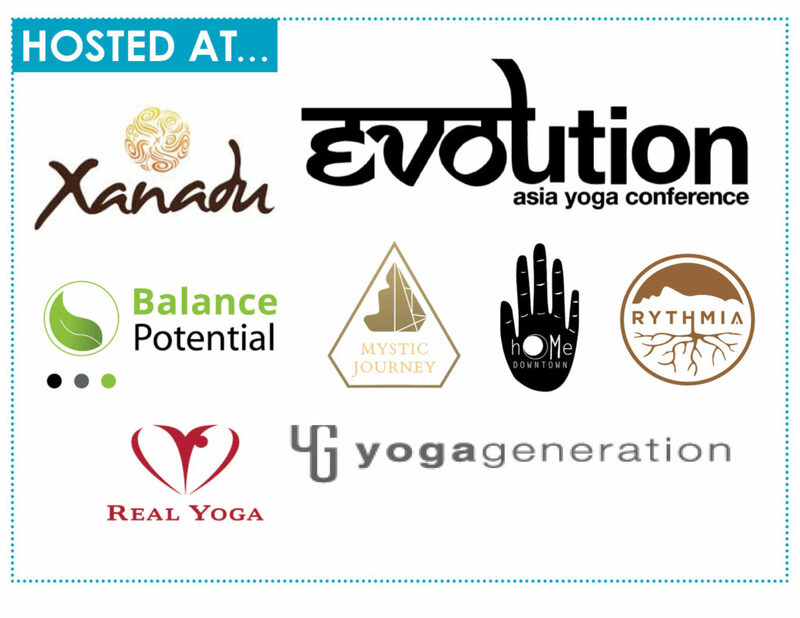 The roots of the system in America go back to Yogi Bhajan and that is why it is often practiced as part of the Kundalini Yoga Technology System. I discovered it during medical school while exploring alternatives to the western medical models of health and disease. One day my kundalini yoga teacher asked about my birthdate and started to explain things about my character that I had never shared with anyone. Being a scientist, I was at first shocked and skeptical that numbers could provide valuable information about one’s life. However, in 2006 I began to study the system and test its value. Because it uses an easy and simple framework, I was able to learn how to do the numbers in my head. This makes it really accessible in everyday life. On my way to mastering the Ho’olokahi birthdate system I applied it to relationships, health, communication, education, group dynamics, and business. I am continually surprised by the value and accuracy of the information the Ho’olokahi Numerology System provides. The system does not tell you if you are going to win the lottery or that you will become a doctor of lawyer. However, the system does predict two things: (1) how you will best express yourself in whatever role you choose in life and (2) the numbers of the personal year and master cycles and what you will experience during those years. For example, you may have a 6 in your destiny/purpose number. This is the number of the priest and healer, but this does not mean that you will become a priest or a doctor. Rather, it is the qualities of the 6 that you will express in your life, as you move towards living a life of purpose and fulfillment. If the 6 is in your personal year cycle, then you know to prepare for issues around the heart and home for that year. During one of my 6 years I lived in 6 different houses. Fortunately, I knew I was going to have challenges around the home that year, so I was mentally and emotionally prepared. What compelled you to write a book? I started teaching Ho’olokahi Numerology workshops in Hawaii in 2008, however I did not have a book or resources that I could provide for my students. Most of the numerology system material was shared through me speaking and doing chart examples. I really felt it was important to put the information in a format that my students could use as a reference when I was not around, so I wrote a book. I also wanted to share my personal experience and story surrounding this numerology system. I think my background as a published medical researcher will surprise people, but it will also make them more curios about numerology in general. There is a true art and science to numerology that dates back to the days of Pythagoras, but it seems irrelevant in modern times. I want to make it relevant again. Finally, I wrote the book to share the Ho’olokahi numerology system with more people. The system is easy to learn, simple to use, and highly accurate. My goal is to create 100 Ho’olokahi Numerology teachers over the next 5 years so that more people can learn how to use it in their lives. 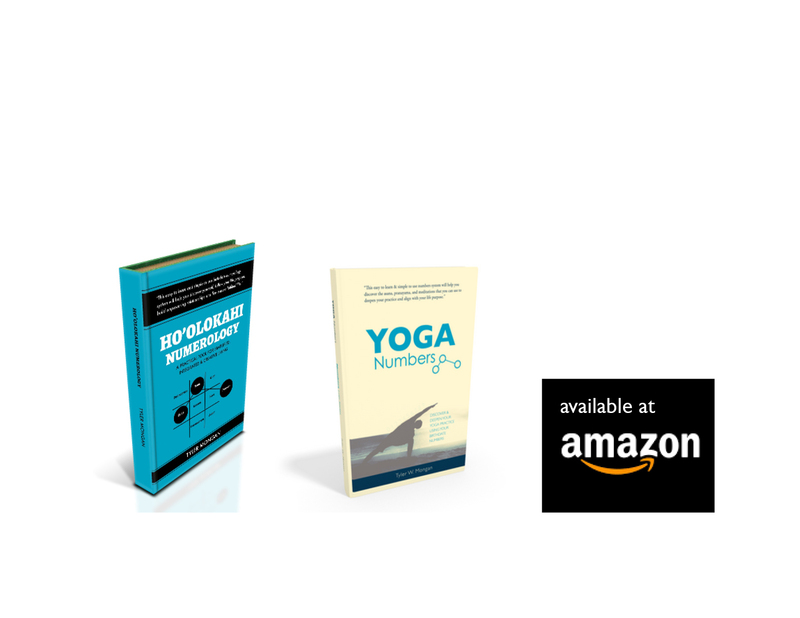 What makes it different from other Numerology books? I have read several books on numerology and researched other numerological systems. Many of the systems felt complicated and many books offered only a general overview of numerology. The Ho’olokahi Numerology, on the other hand, is a complete birthdate system. It uses a very specific framework for understanding the deep psychology and purpose path of an individual. The meaning of the numbers is grounded in the 10 energy bodies of the human body. Each number corresponds to a particular part of the human subtle energy system and is inserted into the Ho’olokahi framework to reveal information about a person. To be honest, I think the main difference is that the book is easy to follow and simple to use – you can even learn to do the number system in your head. In 2008 I started to create a workbook for my students, with basic information about the Ho’olokahi Numerology system. I did not have the intention of writing a book at that time. In 2008 I started a media company in Hawaii, and most of my focus was on making it grow. I become the founding editor for an inflight magazine and a local community newspaper. My media career took a shift in 2011 after a major accident that landed me in the hospital for five days. The experience inspired me to start the book writing process. I did not want to miss the opportunity to share this system with the world. I completed 80% of the book early in 2012, but it was the last 20% that took the most time and energy. During that time I also started helping other people with their book writing and publishing. I published the final copy of Ho’olokahi Numerology at the end of 2014. I am working on future books about using the system for healing, acupuncture, business, group dynamics, education, communication, and relationships. Do you apply your numerology to your everyday life? How? When I meet someone I usually ask their birthdate. They think I am trying to figure out their age or their astrology; people are not familiar with birthdate numerology. I can run the numbers in my head and this gives me some quick insight into the person’s personality, communication, and challenges. It makes the interaction more authentic because I can have a deeper sense of who they are and I can speak to that part of them. I also look at my own chart on a regular basis and correlate the information with what is going on in my life. This always me to stay focused on my purpose, and to discover ways out of challenging situations. For example, I know because of my numbers I need to be exercising at twice a day – one flexible set of exercises and one strength building set. This helps keep my mind and body balanced and it prevents challenges in my life from arising. I have also used this system to manage people in the business environment and to help make better managers. And I have used it in acupuncture for diagnosis and treatment strategies. I would say the most powerful use of the system is for relationships. It really gives key insights on how best to relate to someone’s soul and how to make the relationship flourish. I do a lot of couple readings, but it also helps parents relate to their children. Tell me about a typical reading. What do you hope your client gets out of it? A typical reading, I like to call it a consultation, is usually done in person or over skype. I provide an overview of your numbers and how they interact with eachother. I discuss the numbers in the soul, challenge, foundation, projection, core, gifts, and purpose positions in the Ho’olokahi Numerology Chart. I then discuss the flow of your purpose path and how you can stay on it. I conclude the overview by sharing information about the personal year and master cycles that you are currently experiencing. I then go deeper and see if there is anything specific that you want to work on or are interested in knowing about. I typically share stories of my experience or the experiences of people I know to provide an example of what needs to be understood. I integrate a diverse background of business, medicine, and psychology into the consultation. This allows the system to provide insight into solutions to health issues, understanding of life purpose, how to overcome mental and emotional challenges, relationship dynamics, and how to be your best. Clients usually find a deeper understanding of themselves and the meaning of their challenges. They also learn how to maximize the strengths of who they are. I hope all my clients gain a better understanding of how to walk effortlessly and gracefully through life so they feel inner fulfillment and can better serve the world. My website is www.practicalnumerology.com. You can find out more about consultations and workshops on my site. I also have a blog there where I share my insights into numerology. You can find my book “Ho’olokahi Numerology: a practical tool for simplified, integrated and creative living” on amazon (http://www.amazon.com/Hoolokahi-Numerology-Practical-Simplified-Integrated/dp/1505613442) and createspace (https://www.createspace.com/5181110). You can also drop me an email at Tyler@practicalnumerology.com. Aloha!